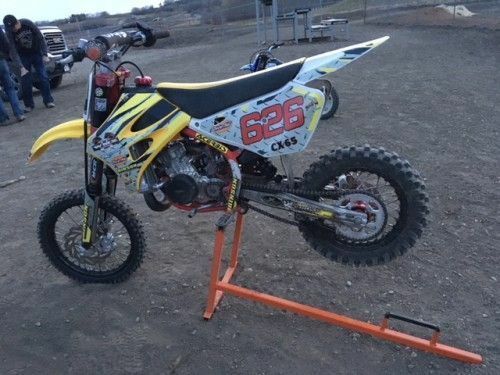 For sale 2013 COBRA CX65 Card Edition 2 stroke dirt bike. Well maintained bike. New top end last summer. MRC suspension. Engine ported and polished with V-Force reeds. Bike starts great and runs strong. Brand new just installed rad, rear fender, grips and upgraded master clutch cylinder worth $750. Bike comes with lots of extra parts such as tires, tubes, levers, parts kit, clutch pack/basket, kick start lever, air filters, spark plugs and custom decal kit. Asking $2850. Call or text @ 250-26four-879two.